We are a group of music lovers (some members of Kol Chai, some not) who gather regularly to enjoy a wide variety of music, together with conversation – and cake! The dates of our meetings are in the Diary and Koleinu. With a break over the summer months, we meet about 9 times a year, usually for a couple of hours on a Sunday evening, at the Pinner home of Ruth & David. We listen to a wide range of music, especially but not exclusively classical and jazz, with some occasional operetta and opera. We enjoy good company in convivial surroundings. Some of us are more knowledgeable than others but all feel free to express opinions and share tastes in a friendly environment. We are always pleased to be introduced to new musical genres. To find out when we next meet or to find out more please contact me, David. 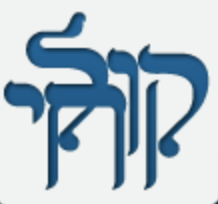 Alternatively, check in the monthly Kol Chai Diary, contact the Synagogue office, or add your name to the mailing list to receive our weekly email.